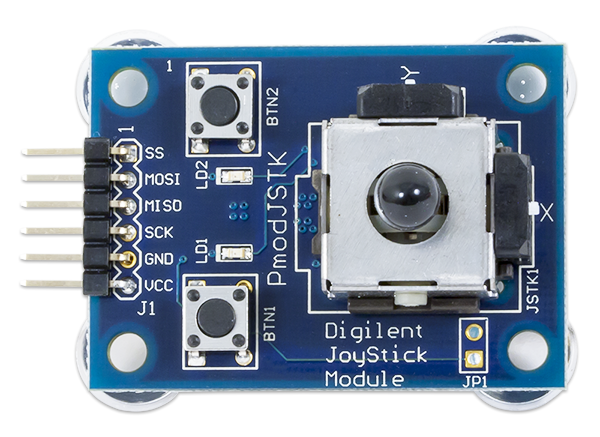 The Pmod JSTK (Revision C) is designed to be a versatile peripheral module that can be used in a wide variety of projects. 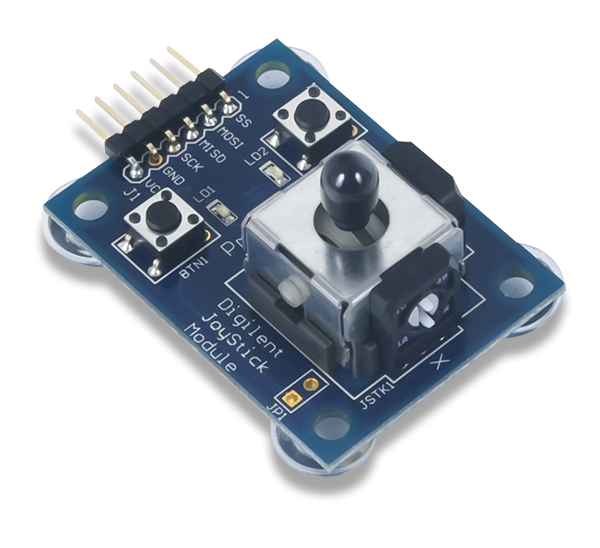 It contains a resistive twin axis joystick that includes a center push button along with two additional push buttons. 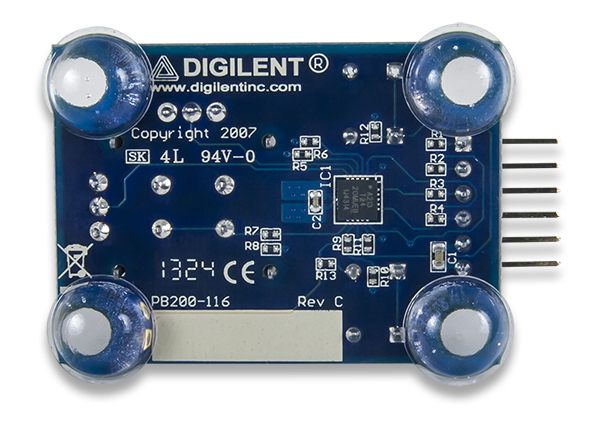 Also, Pmod JSTK has two programmable LEDs located on the board that can provide additional information to the user. 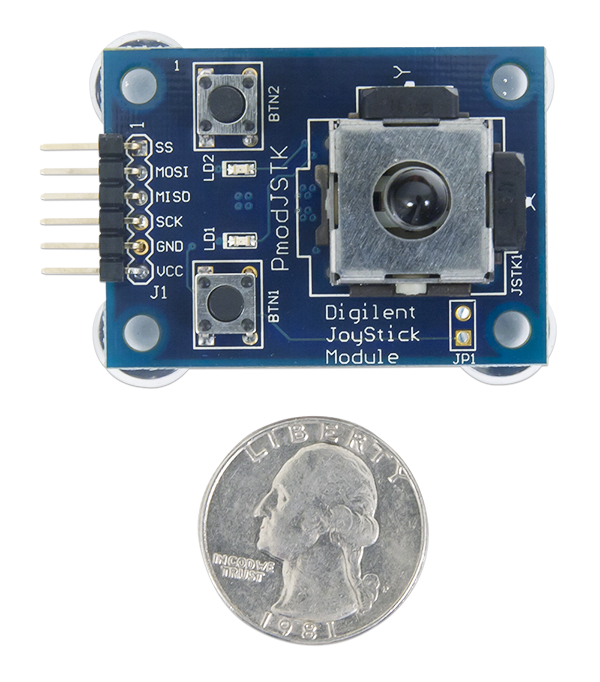 The Pmod JSTK is ideally suited for Digilent microcontroller or FPGA-based projects that required proportional control from the user, such as robotic applications.